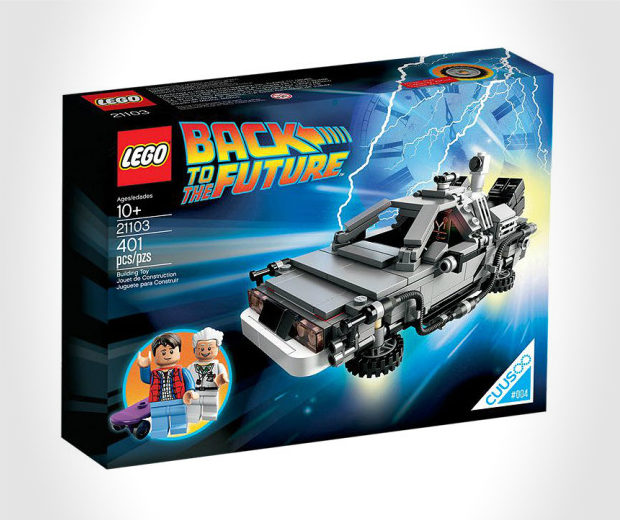 Go back to the future with the Lego DeLorean time machine, includes 2 minifigures: Marty McFly and Doc Brown! 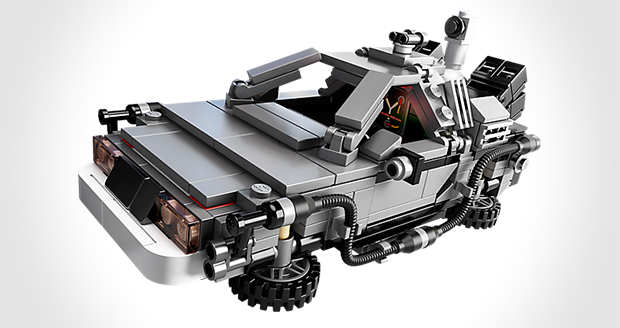 Has opening gull-wing doors, fold-up wheels, flux capacitor, time travel display and 2 licence plates, but it doesn't stop there it gets better... so that you can recreate the different variants of the car from each movie it also includes Marty's skateboard and extra engine and wheels! Boom! See you in the future dude!